For AC-DC application, rectifier loss will be taken into account as well. This is due to the channel on state resistance or commonly known as the RDSon. 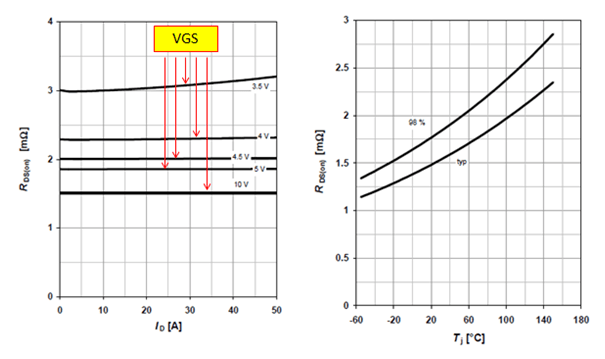 RDSon is dependent to the applied gate-source voltage (VGS) and the junction temperature. Where IDRAIN is the RMS drain current while RDSon is the right on-state resistance considering VGS and the junction temperature. This is associated to the rise and fall times of the MOSFET drain voltage. 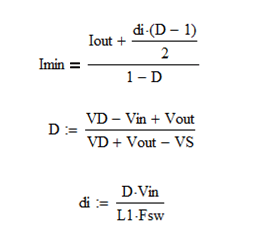 Gate charge loss is dictated by the input capacitance of the FET. Datasheet may provide input capacitance or the total gate charge. I prefer to use the total gate charge. The power loss is can be computed using the equation below. This is related to the COSS of the MOSFET. This parasitic capacitance is dependent on the drain voltage. For worst case, the maximum value is can be considered. For efficiency calculation however, the right value must be used to get a realistic result. Considering below circuit, the RMS current of the diode is given by the equation below. Reverse recovery on the diode also contribute a small loss. It is important to select a very fast switching diode. There are two contributors of losses in an inductor. One is the wire loss and the second is the core loss. The former is a DC loss while the latter is an AC loss. Considering below circuit, the RMS current of the inductor is given below. The losses due to the core is straight forward for an off the shelf inductor. 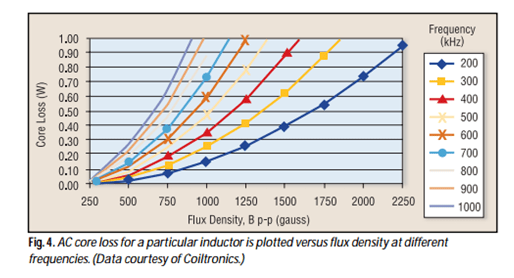 There is a graph between flux density and core loss in different frequency the same as below. For instance at 200kHz switching frequency, at a flux density of 1500 gauss, the core loss is around 0.4W. For very high power application, core loss represent the significant portion of the total power losses in boost converter. 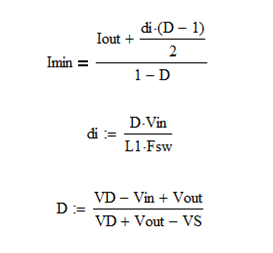 Bias losses are the fix losses on the divider resistors, signal diodes, driver circuits, protection circuits, monitoring or housekeeping circuits and the likes. These losses however are very small compared to above losses. Can you share your source of information? Where did you deduce the formulas above? As a power electronics engineer, I consider reading different app notes and books. However, what I got are only principles and basic equations. 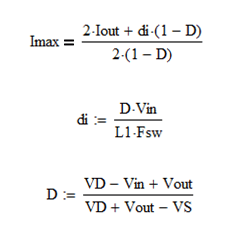 I want to know myself the equations to be used to calculate the losses of any switching converters. Because of this goal, I did my own analysis and derivations…In short, I derived the equations of the currents and duty cycle. I proven that equations correct through simulations.